I love the water! 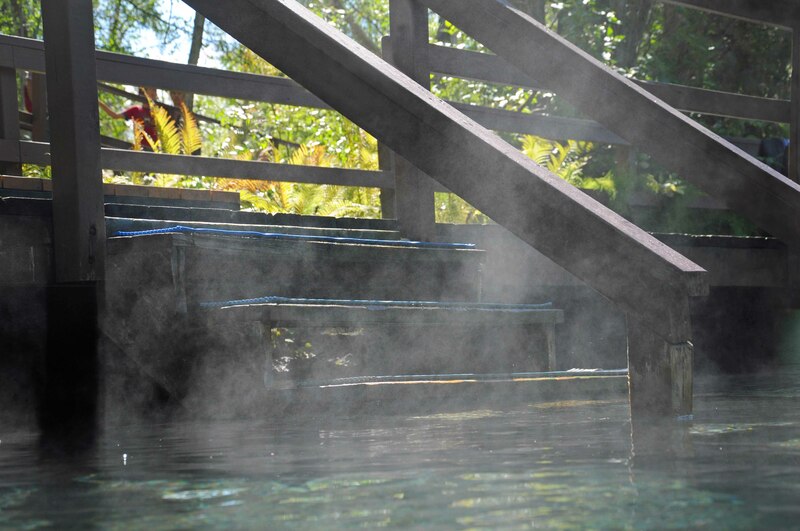 The best way to enjoy hot healing water is in a hot springs, a very natural Hot Springs with steaming hot water bubbling up right through the rocks. That is my idea of GREAT comfort. Just lay back and relax. We were on a long roadtrip which took us to northern BC. 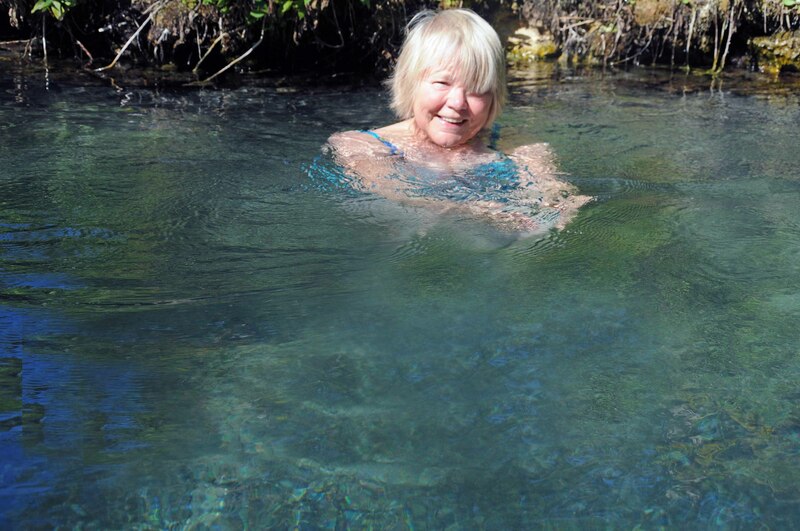 The Liard Hotsprings is a perfect spot to relax. Some hot springs have you in a swimming pool, with the temperature regulated, not Liard. 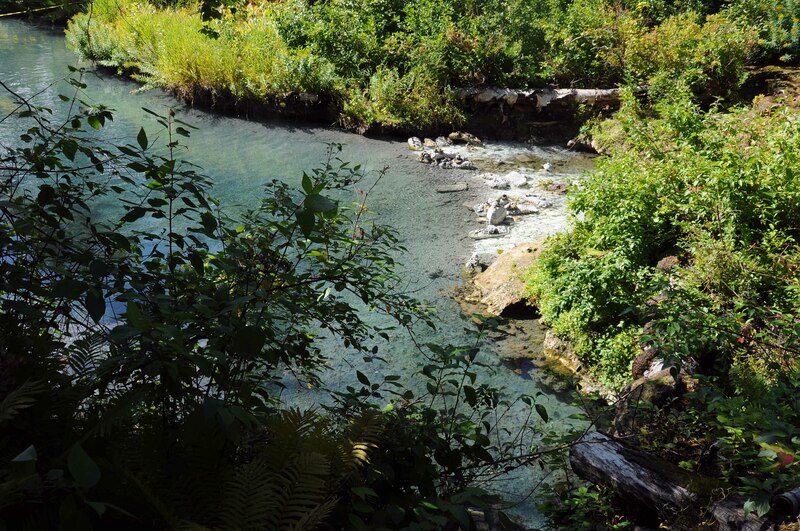 It is deep in the woods, ferns and bushes line the natural pool. The water flows through the pools. There is a challenge which I had to take. Place a rock near where the springs bubble up from the earth below. It is the HOTTEST spot. I took the challenge and managed to reach far enough to place a rock. Mission accomplished, I went back to simply relax in the woods. This is the way to spend a lazy afternoon... perfect comfort. Hot water is the best way to relax. This entry was posted in Nature, Weekly Photo Challenge and tagged British Columbia, comfort, Liard Hotsprings, Photography, postaweek2011, Weekly Photo Challenge. Bookmark the permalink. Oh, wow. Those hot springs are truly comforting. I haven’t been to one and this made me wish I will experience then one day. Beautiful photos. Thanks. This looks so comforting and exhilarating! Oh, I wish I was there right now. That would be absolutely massive … you all look like your getting so much pleasure from this. I could feel it too! a beautiful place! I was reminded of a trip to this corner of the planet almost 20 years ago. how does the time pass so quickly?